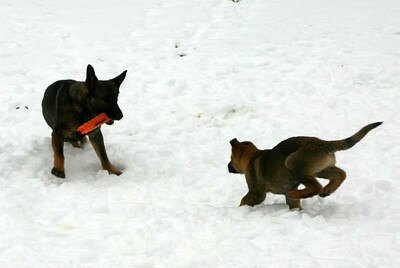 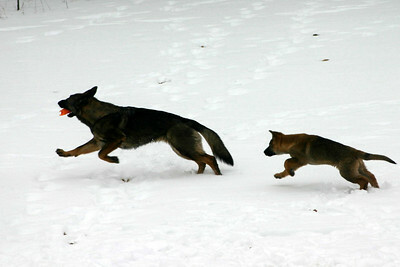 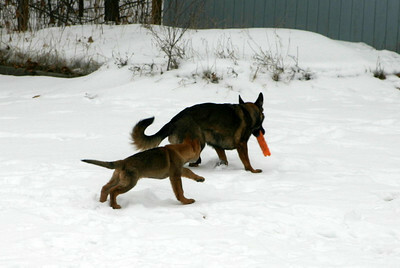 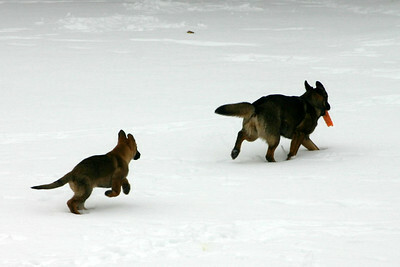 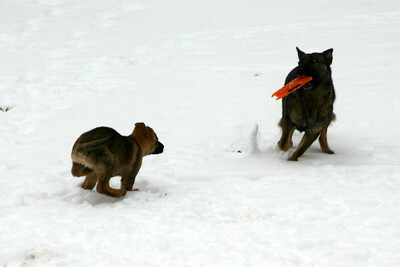 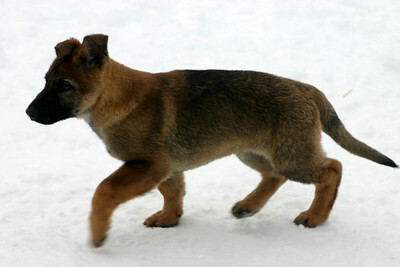 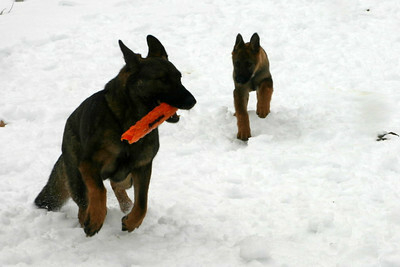 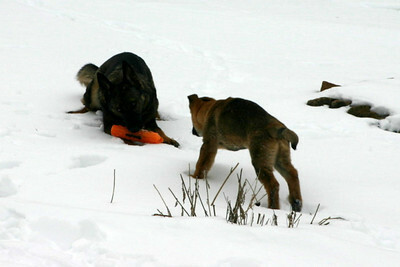 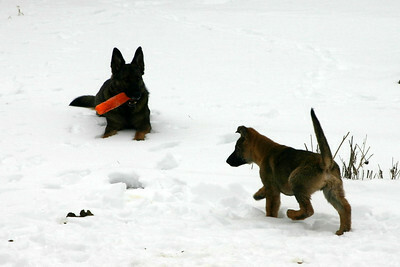 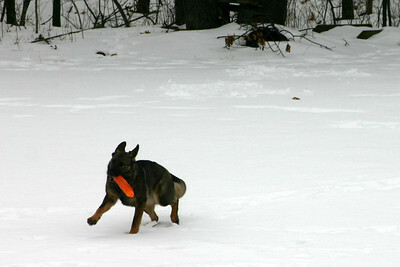 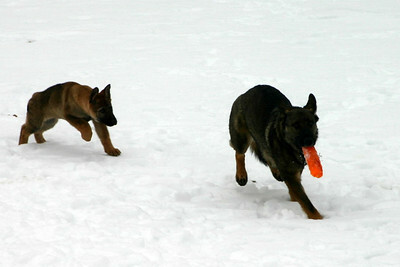 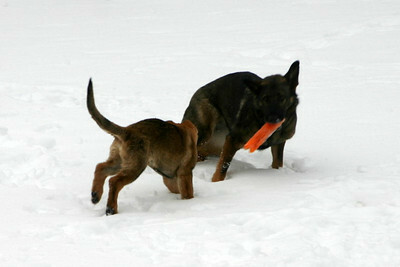 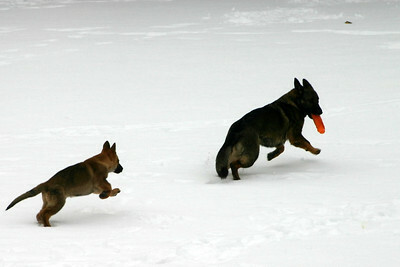 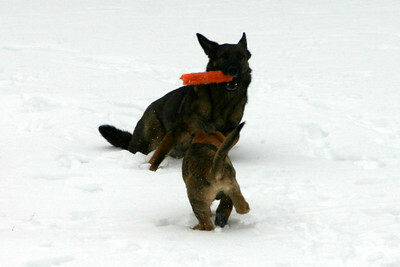 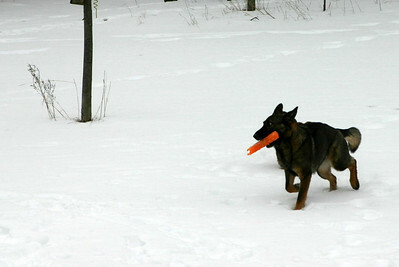 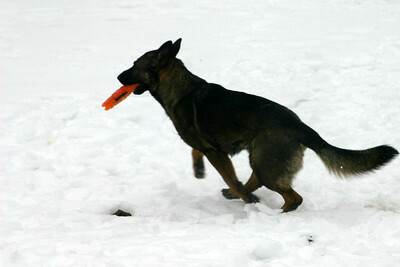 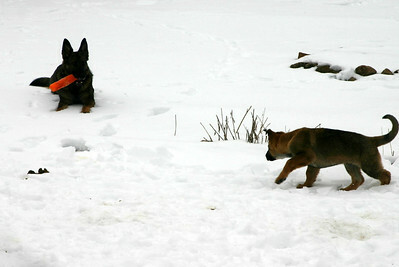 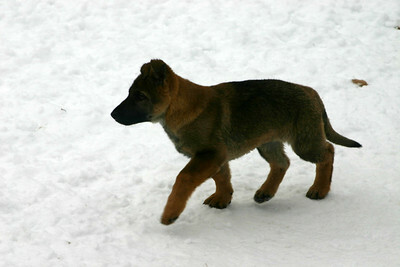 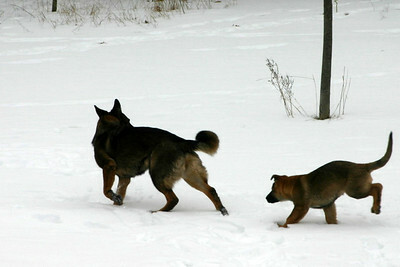 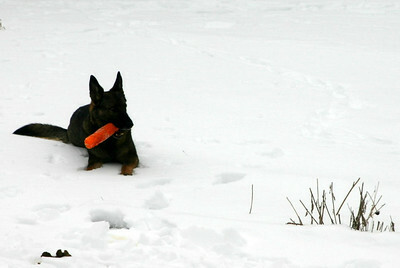 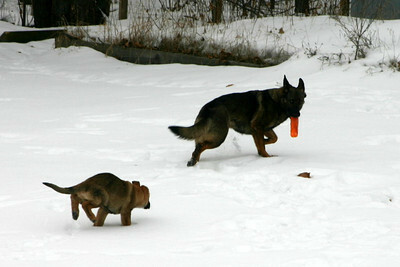 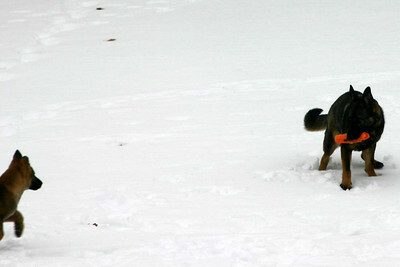 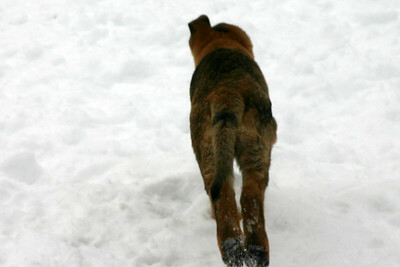 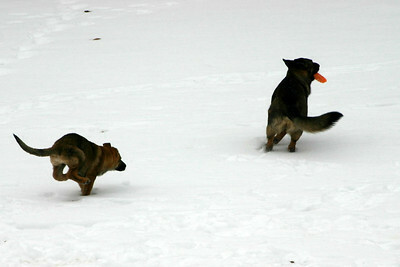 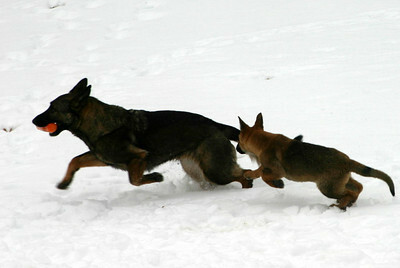 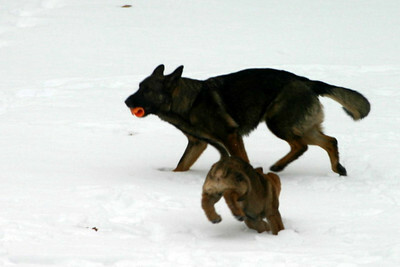 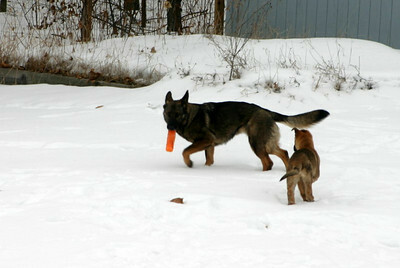 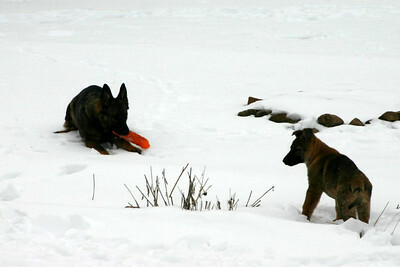 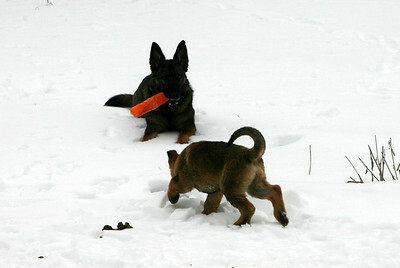 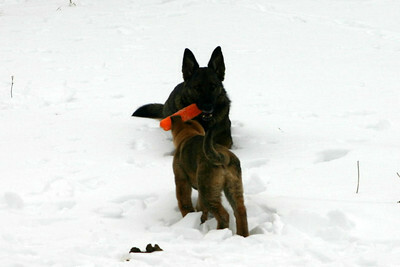 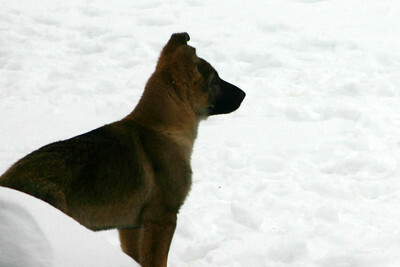 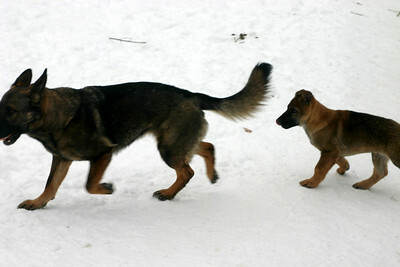 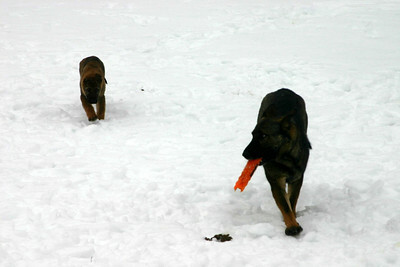 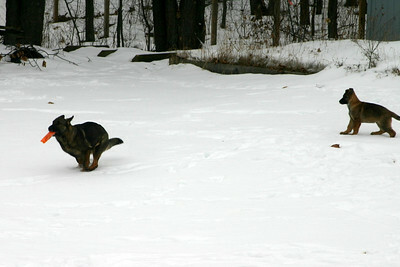 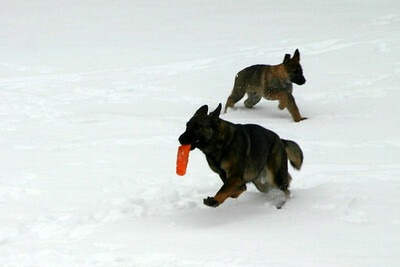 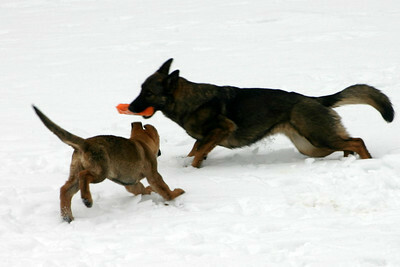 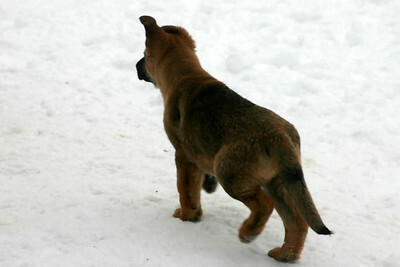 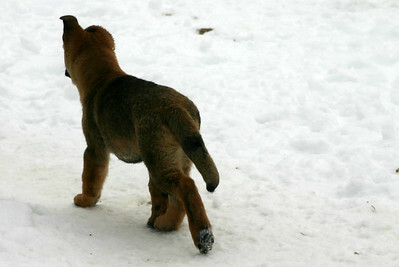 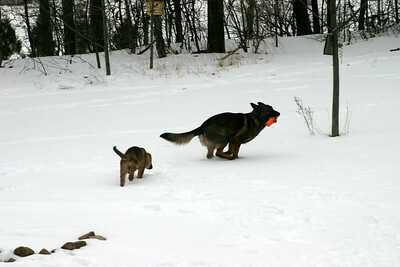 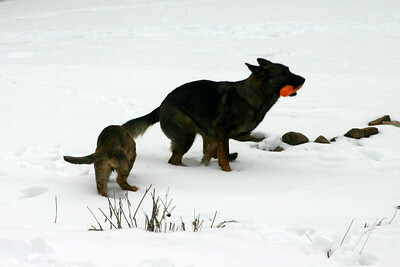 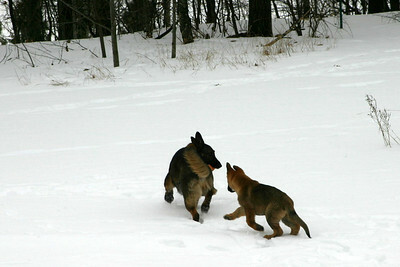 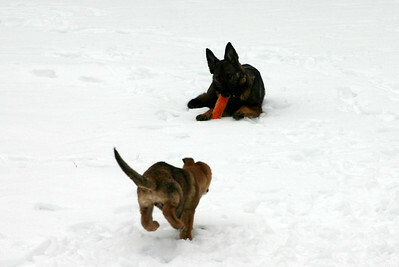 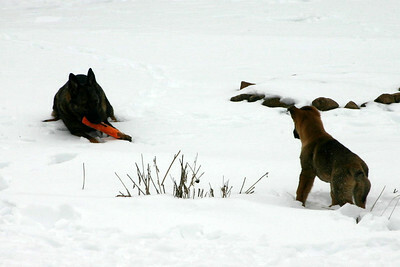 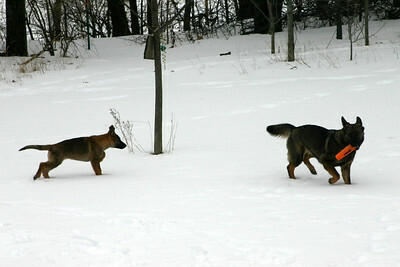 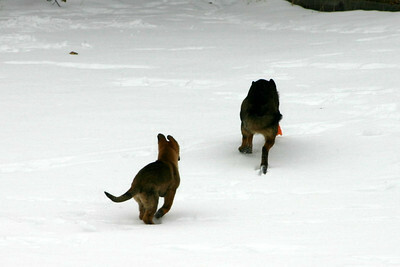 Brita and Jake playing in the snow. 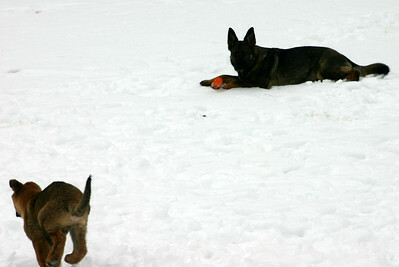 Jake has been with us for 3 days and Brita is delighted. 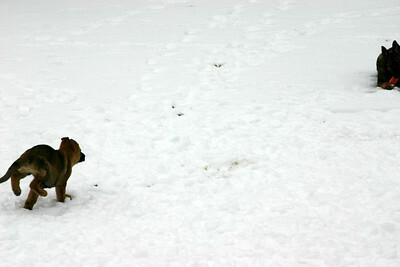 This is in the afternoon and the entire sequence is over less than 4 minutes - there were more in the morning! 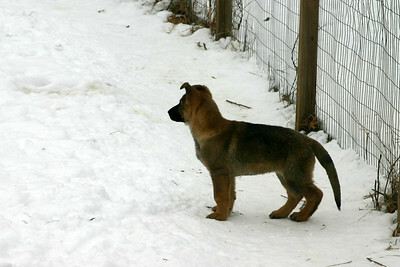 The photos were taken from inside so the shots aren't great but the body language certainly is!